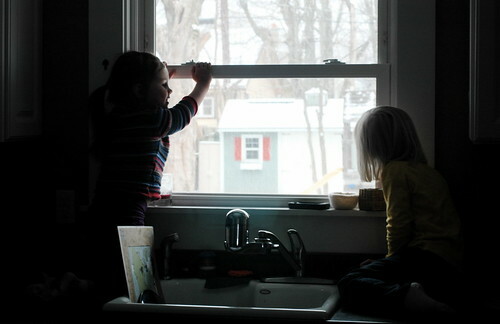 ...looking out at snow, again. ...finding it easy to find someone to share it with. 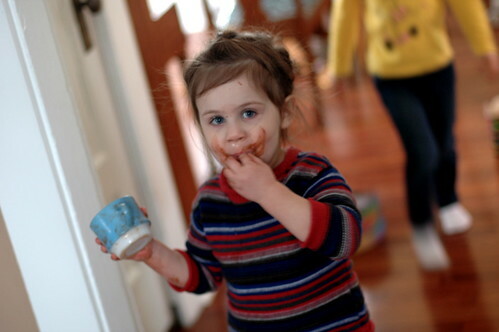 ...loving the warm bellies and chocolate mustaches (wink). 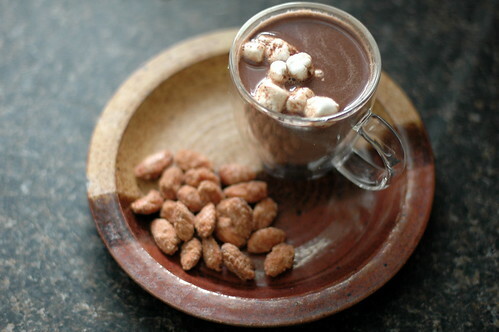 ...enjoying some of these cinnamon almonds alongside- so filling and easy to make! ...halfway through "20,000 Leagues Under the Sea," and enjoying it a lot. ...amazed at Verne's naturalist brain. It's such a different way to view the world. ...appreciating the gradual return of our local nature. ...wondering if spring might not be so far off, after all? ...tempting fate by doing our spring clothing clean-out now. ...keeping a few sweaters around for snowy days- just in case. What projects are you in the middle of this week?